Leash up and get to the NW Pet & Companion Fair April 13 and 14. 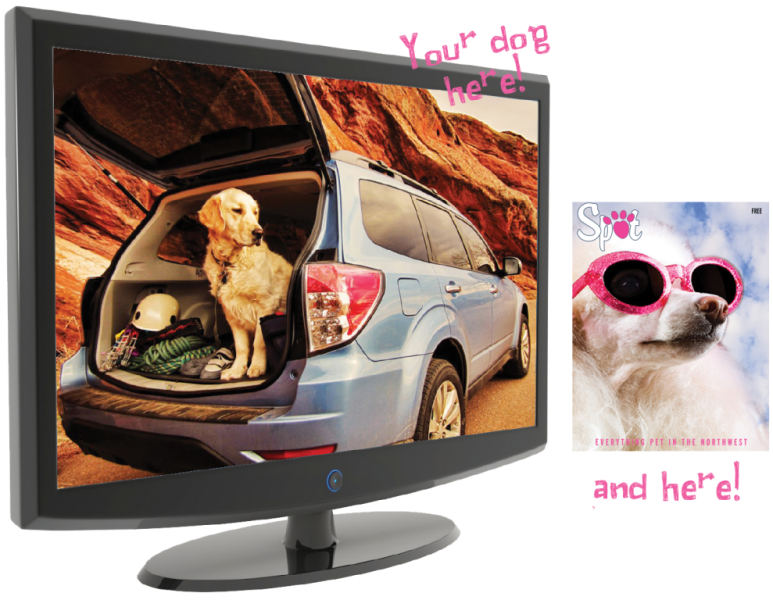 Spot's Cover Model Search is at the fair this year, and Subaru joins in with a GREAT prize! Other highlights include entertainment, attractions, a Vanity Pet Fair fashion show, demos, and the latest gear, food, toys and treats for your best friend! Photo contest winners will win a TV ad, and a cover on Spot! In a first-time venture, Carr Subaru and Spot Magazine are teaming up to host a two-in-one photo contest at the NW Pet & Companion Fair April 13, 11-4. The contest will fold in Spot’s annual Cover Model Search, in which a winner will be randomly drawn to appear on the cover of Spot. Carr Subaru will go on to conduct its own contest, in which pet lovers will vote for their favorite photos, and the winner will be featured in a Carr Subaru TV ad in May. All contestants’ entry photos will appear in a future issue of Spot. In line with tradition, the Spot crew will accept $15 donations to support the great work of PAW Team, which provides veterinary medical care to pets of low-income and homeless pet owners. The Carr Subaru contest is free to enter. To enter the contests, get to the fair April 13, 11-4, register at the Spot/Carr booth, and have your photo taken. A Subaru will be part of the “studio,” and those pets comfortable to do so may be photographed inside the car, re-enacting the infamous Subaru “credit app” TV ad, pose paws-up on a bumper, or other fun pose. Travel-related props will be available to those who’d like to use them. For details, visit Spot Magazine or Carr Subaru on Facebook. Posted in Events, Feature and tagged with Events, Cover Model Search.